As local governments deliberate raising taxes to support mental health services, they may find more support than previously expected. About half (51%) of Americans would support voluntarily raising taxes to fund mental health services locally, according to a YouGov survey of more than 27,000 people from March 2019. Nearly one in four Americans (24%) oppose this measure, while 25% remain uncertain. That’s more support than has previously been shown for other surveyed tax initiatives — including voluntarily raising taxes for cleaner neighborhood air (47% willing) and increasing NASA funding by raising income taxes (44% support). American’s willingness to increase taxes that fund mental health resources could come down to its perceived significance. An additional YouGov survey of 58,000 people found that 87% of Americans say it’s important for people to talk about mental health. A few cities, like Denver, have already taken steps to fund local mental health programs through tax increases. In the midst of the Caring 4 Denver initiative to fund mental health treatment with a small tax increase, more than half of Denver residents (53%) said in a YouGov poll that their city offered access to mental health resources. In November 2018, Denver voters approved a ballot measure to increase sales tax to fund mental health services in the city. 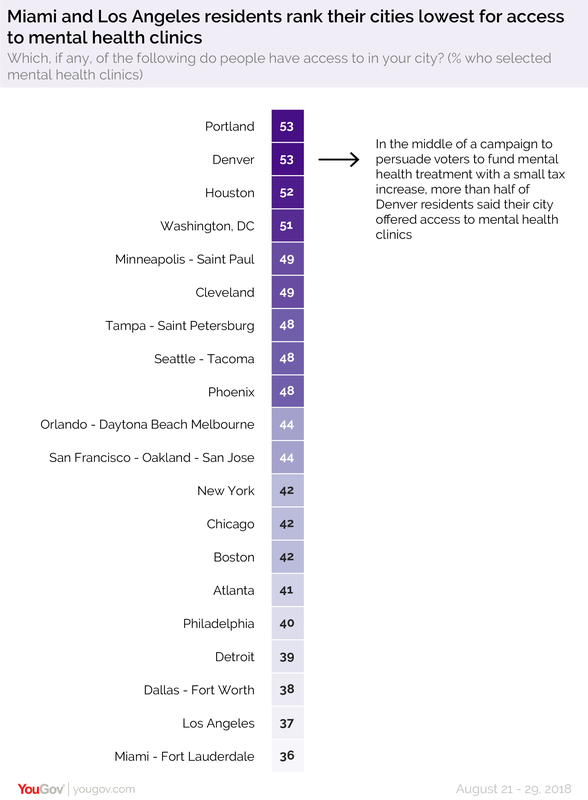 According to data from YouGov Omnibus/CityBus survey of some of America’s largest market areas, Denver and Portland tied (53%) for the top cities where residents believe there is access to mental health clinics. They were followed closely by Houston (52%) and Washington, D.C. (51%), where more than half of surveyed residents also considered mental health clinics accessible. At the bottom of that list, only 36% of surveyed residents in the Miami - Fort Lauderdale market area considered mental health clinics accessible, closely followed by Los Angeles (37%) and Dallas-Fort Worth (38%) and Detroit (39%). 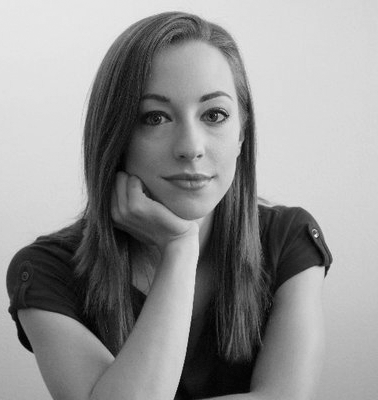 YouGov Methodology: For the YouGov Citybus data, the total sample size was 4,065 US adults aged 18+ (i.e. approximately 200 people per metro area). Interviews were conducted online between August 21-29, 2018. The respondents surveyed in this study reside in the following Designated Market Areas: Atlanta, Boston, Chicago, Cleveland, Dallas - Fort Worth, Denver, Detroit, Houston, Los Angeles, Miami - Fort Lauderdale, Minneapolis - Saint Paul, New York, Orlando - Daytona Beach Melbourne, Philadelphia, Phoenix, Portland - Oregon, San Francisco - Oakland - San Jose, Seattle - Tacoma, Tampa - Saint Petersburg, Washington DC. Read the city-by-city data on access to women&apos;s health clinics, and learn more about YouGov Omnibus polling.